Even though Lean is over seventy years old, it's not just your grandfather's optimization tool. After World War II, Americans swung to the big band sound of Cab Calloway and Benny Goodman, flocked to theaters to see “It’s A Wonderful Life” and marveled as Hank Greenberg slugged 44 homers for the Detroit Tigers. On the other side of the globe, Toyota was developing a production system to drive waste out and increase efficiencies. Today, the world of manufacturing is digital, virtual and immediate. We can use a printer to make spare parts on a space station. And check the efficiency and scrap rate of any production job order — real time —on our smartphones. So do the principles developed by Toyota decades ago still apply? The basic premise of Lean Manufacturing is a waste reduction. And “Lean” as a principle is applied to processes of all kinds — not just manufacturing. One of the bigger gripes about Lean Manufacturing is that often the optics are more impressive than the results. And that can happen if you’re implementing Lean Manufacturing because of a corporate mandate or to fluff up your resume. But if you stick to the basics of Lean Manufacturing, using quality circles of employees directly involved and impacted by the process, you’ll find that Lean Manufacturing is as relevant today as it was when Cab Calloway rocked “Hi-De-Ho” all those years ago. And Continuous Improvement is achievable through the repetition of these principles. Lean Manufacturing even impacts Six Sigma, as Lean Six Sigma has evolved into an approach taken to reduce waste, improve efficiency and drive profitability. 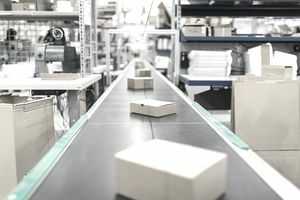 If the definition of optimized supply chain is "getting your customers what they want, when they want it — and spending as little money as possible getting that done" (and we believe that is the core definition of optimized supply chain) — then Lean Manufacturing is an invaluable tool in accomplishing that. Within the definition of Lean Manufacturing, you'll find the impetus to continue to drive costs out of your production, logistics, customer delivery, and overall supply chain. Using Lean Manufacturing can help guarantee that year-over-year you'll find savings — which is a key metric in today's supply chain. The efficiency that Lean Manufacturing drives toward will also allow for greater visibility of your customers' needs — and drive on-time delivery higher. It will get you that first part of the optimized supply chain definition — getting your customers what they want when they want it. Lean Manufacturing is as important today (and will be tomorrow) as it was when it was conceived. Companies today — now more than ever — are looking to their supply chains to find cost savings. Those cost savings can be found by negotiating purchase prices with suppliers, but they can also be found in process optimization. If through the Lean process of waste reduction, you can drive manufacturing cycle times down or reduce scrap — you're saving your company money beyond the basic cost of goods reduction.